The kit contains lesson plans and interpretative materials of the contents, for self-guided class sessions, and can also be accompanied by a conservator or curator for demonstrations. The Traveling Scriptorium represents a collaboration between the Beinecke Library and the Yale University Library Special Collections Conservation department, and was funded with a start-up grant from the Yale Library Standing Committee on Professional Awareness (SCOPA). While it is of course not the same as experiencing the actual materials, the website has virtual offerings: pdfs of historical binding styles, ink and pigment samplers and recipes, and binding models. I found lots of explore in the Paleographic Resources links. 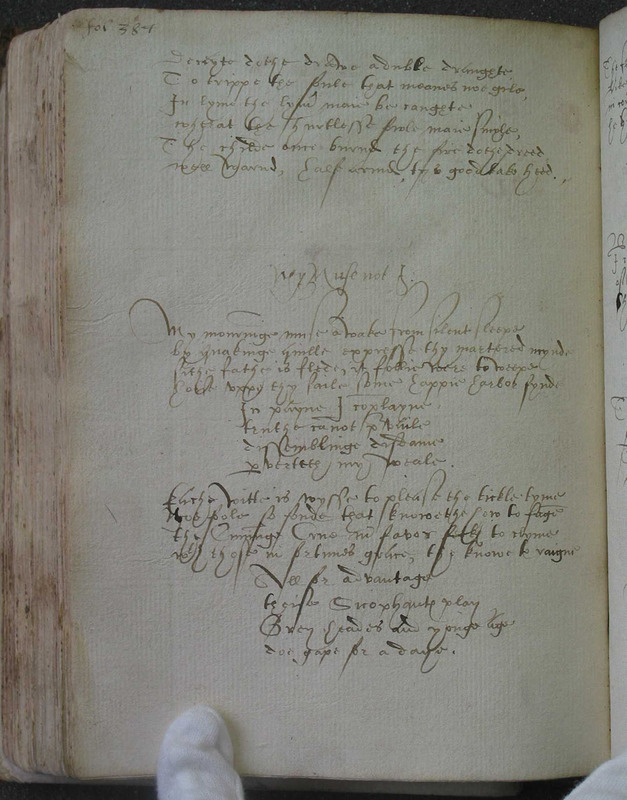 I especially liked English Handwriting 1500-1700: an Online Course from COPIA (Ceres Online Publications Interactive) which aims to explore how electronic media and the Internet in particular may offer new ways of sharing and even conducting Renaissance research. As always, I applaud those who make their information and materials available to a broader audience via the web.